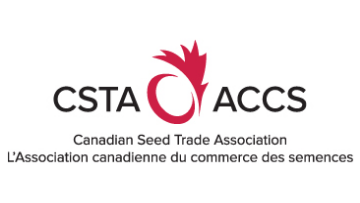 The Canadian Seed Trade Association (CSTA) seeks a Manager, Communications and Member Services. This is a full-time position based out of downtown Ottawa, Ontario. CSTA is seeking a passionate communications professional to lead the association’s communications and member services files while working in a dynamic and fast-paced environment. The ideal candidate is an effective communicator that thinks strategically and able to multi-task and meet deadlines while remaining calm under pressure. The candidate is well organized, resourceful and a creative problem solver that is collaborative. Reporting to the Executive Director, the Manager, Communications and Member Services is responsible for leading CSTA’s internal and external communications to build on the association’s strong reputation as a trusted partner in the agriculture value chain. The Manager will also ensure value for membership by overseeing the effective delivery of member services and strengthening member engagement and plays a critical leadership role at CSTA’s Annual General and Semi-Annual Meetings. Founded in 1923, CSTA represents more than 130 companies and associations engaged in all aspects of seed, from research and development to plant breeding, production and marketing, licensing and domestic and international sales. Members range from small family owned companies to large multinational firms engaged in over 50 different crop kinds. The Canadian seed industry is a $6 billion a year industry, employing 60,000 Canadians with exports of more than $600 million annually. Please send resume and cover letter to info@seedinnovation.ca no later than close of business on Friday April 5, 2019. Only applications that contain a resume and cover letter will be reviewed.